Folsom Dam was constructed in 1955 in response to chronic flooding in the low-lying Sacramento area. In order to further protect nearby areas from flood danger, the United States Army Corps of Engineers (USACE) retained Kiewit Construction to begin construction of an auxillary spillway in order to keep water levels below the dam’s high water level threshold in the event of heavy rainfall and enhance the 200 year flood protection plan. As part of construction of the Folsom Dam Auxiliary Spillway, Terracon was awarded a contract to perform testing of all of the major systems in the structure, ensuring that the facility operated as designed. These tests included operations and planned release events from all six new auxiliary spillway radial gates. The testing consisted of installation of geotechnical instruments including vibrating wire piezometers, that were monitored throughout the structure to measure groundwater pore water pressure adjacent to the spillway. Specifically, the delivered solution integrated 554 vibrating wire piezometers manufactured by Geokon and a Vaisala multi-parameter weather station. sensemetrics’ edge computing and software monitoring platform was selected to reduce the cost and complexity of collecting a high volume of sensor data while providing on-demand access to sensor data. sensemetrics’ monitoring platform continues to allow for real-time barometric pressure compensation of piezometer data. Additionally, sensemetrics’ interface allows for both automated readings of the sensors and provides a connection point for a manual readout device. This enables onsite technicians to take spot measurements to confirm the accuracy and proper operation of the sensors. All data is aggregated into an onsite sensemetrics Enterprise server. As such, The US Bureau of Reclamation (USBR) and USACE personnel can actively monitor sensor data during release events. Personnel may also download sensor data from any time range, in industry standard CSV and XLS formats, for distribution and offsite review and record storage. Ultimately, the new spillway and associated monitoring platform manages large floods by safely releasing water from Folsom Reservoir during storm events. By opening both the spillway gates on Folsom Dam and the emergency spillway’s radial gates, hydrologic risk is reduced by increasing storage capacity in the reservoir. 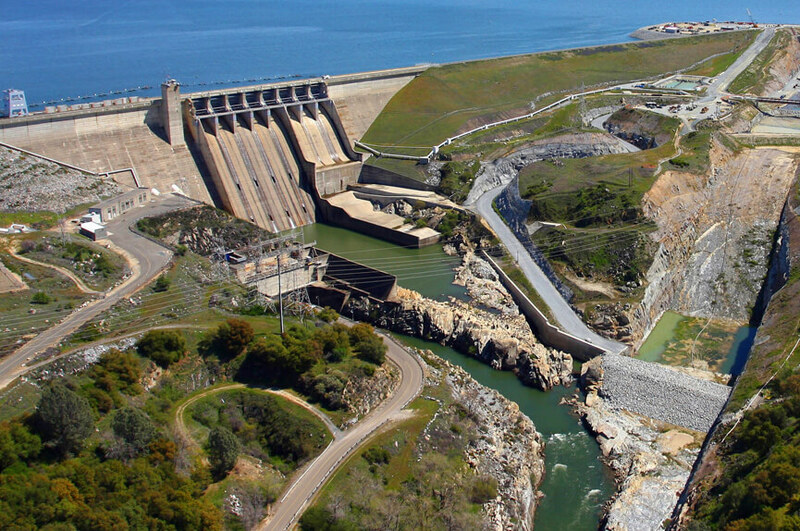 By deploying sensemetrics’ platform, USACE was able to seamlessly hand over system data to the Bureau of Reclamation because of the organizational data sharing features in the platform.